Def Leppard are due to play the Red Sky Music Festival in Omaha, NE in July during the first leg of their Rock Of Ages Tour 2012. The band last played the city in August 2008 on the Songs From The Sparkle Lounge tour. The festival takes place at the TD Ameritrade Park baseball stadium which has a capacity of just under 25,000. Tickets go on sale Friday 12th May at 10am. This brings the number of announced shows in 2012 to 40 with another 'possible' on 14th September in Concord (although this may have been replaced by the Santa Barbara show). 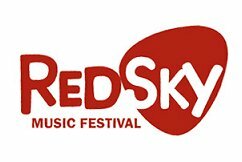 "Red Sky Music Festival will welcome Rascal Flatts, Brad Paisley and Def Leppard as three of its headliners." "On Monday, Red Sky announced Rascal Flatts will perform on July 18, Paisley on July 20 and Def Leppard on July 21. No information is available for a fourth headliner for the festival, which runs from July 18 to 21."